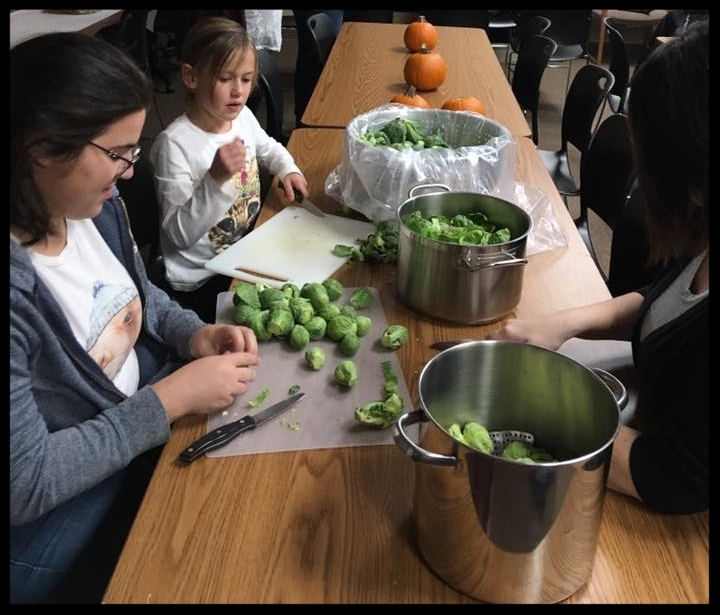 Local Foods Connection (LFC) partners with local farmers to provide fresh environmentally sustainable food and nutrition education to Grinnell residents in need. Problem: 36.3% of Poweshiek County residents face financial hardship, as described in the United Way ALICE report. People with incomes below the ALICE threshold means they have less access to basic necessities, including nutrient-dense foods. Solution: Local Foods Connection is working to break down economic barriers by providing nutrient-dense foods, meal preparation education, and community support to those in need. How you can help feed Grinnell? Local Foods Connection strives to enhance Grinnell’s sustainable food system while making nutrient-dense, local food accessible to individuals and families with limited means. Donations and word of mouth are crucial to our success!